Balance sebum and reduce skin irritations with this fibrous, gel-based cleanser. 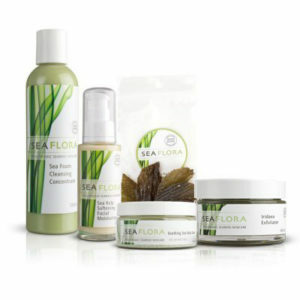 We have infused our Organic Seaweed Elixir™ with rich botanical ingredients to calm and tone your skin. Rich in amino acids, vitamins, and minerals; it absorbs excess oils and gently removes dirt and debris. Keep your skin soft and hydrated while cleaning deep into the pores. With wet hands massage a nickel to quarter size amount onto palm. Cleanse over face and neck with gentle upward, circular motions. Rinse with warm water. Pat dry. 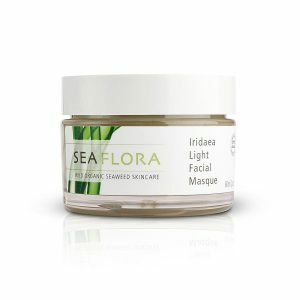 Suitable for combination, oily and hormonal or acne prone skin. 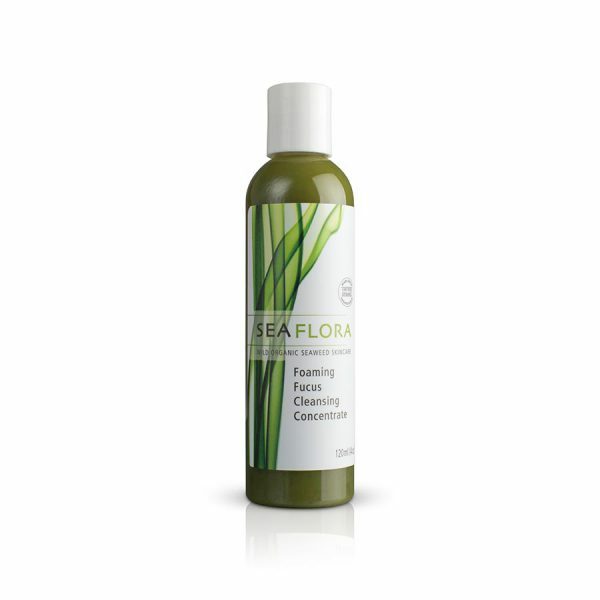 Follow with Sea Spray Splash Toner and one of Seaflora’s nutrient-rich facial moisturizers. *Elaeis guineensis (palm) oil, Aqua, *Cocos nucifera (coconut) oil, *Algae extract (Mazzaella splendens, Nereocystis luetkeana), Glycerin, Caprylic/capric triglyceride, *Pinus sylvestris cone extract, Phenoxyethanol, Benzoic acid, *Acetic acid, Dehydroacetic acid, Chromium oxide greens, Chlorophyllin-copper complex, *Gelidium cartilagineum extract, *Urtica dioica (nettle) leaf extract, *Trifolium pratense (clover) flower extract, *Taraxacum officinale (dandelion) leaf extract, *Chamomilla recutita (Matricaria) flower extract, Xanthan gum.